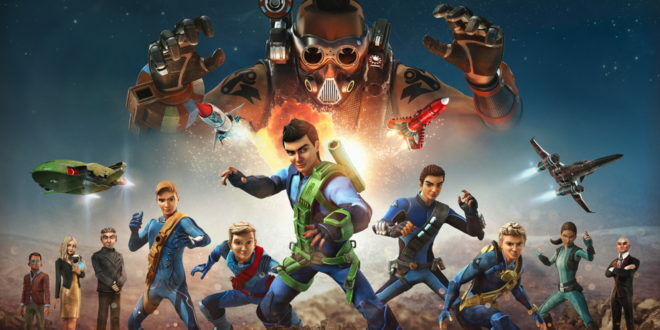 How well has Thunderbirds Are Go been performing in the licensing space? 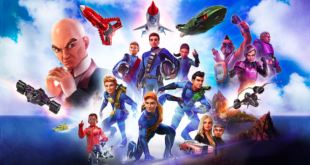 The Thunderbirds Are Go licensing programme got off to a flying start when it launched in 2015 and became one of the year’s top new properties in the UK. Since then, the property has continued to grow with extended ranges in stores, listings secured in all key retailers and the launch of new categories. Two of our most recent significant deals include a partnership with iconic British food company Bernard Matthews that has significantly expanded the FMCG offering for the brand. This is Bernard Matthews’ first licensed range and the turkey shape pack launched in October at Asda stores nationwide, with other key retailers following soon. Then for the back-to-school season in 2017, we’ve also signed an exciting deal with Regatta Great Outdoor for a dual-branded collection of kids’ outdoor clothing. Again, this is their first licensed range and they felt like it was a natural fit to expand our apparel offering, while also celebrating the show’s core values of action and exploration. Beyond the UK, we’re also busy growing the licensing programme internationally and now have over 90 top-class licensees signed up across all key categories. We’ve launched consumer products programmes in a raft of key markets across Europe, US, Australia, Middle East and most recently, products are now available in Canada, the Netherlands and Nordics where the toy range kicked off the roll-out. How does the property lend itself to the boys’ market? Thunderbirds Are Go is the ultimate property for boys with action-packed story lines, heroic characters, jeopardy and villainy. This winning formula is resonating with boys – regardless of their geography or background – and enabling us to grow Thunderbirds Are Go into a truly international franchise. 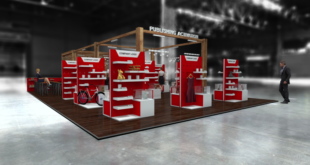 What’s more the show’s key elements such as gadgets, vehicles and technology lend themselves especially well to the development of innovative products that will fire up boys’ imaginations. 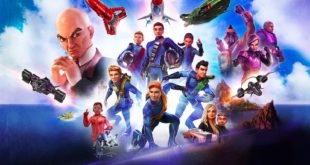 Which licensing partners are already on board for Thunderbirds Are Go? Our global licensing programme is benefiting from our robust-line up of broadcast partners and we now have over 90 licensees signed around the world, covering all key categories. Some of our key partners include Vivid Imaginations who is the master toy partner for Europe and Australia/New Zealand, alongside Spin Master who have a global Air Hogs and Meccano range of products, Takara Tomy as the master toy partner in Japan and toy distributors such as Headstart in Australia, Planet Fun in New Zealand and Imports Dragon in Canada. We also have Hachette as the core publishing partner for both Australia and France. In the UK, our line-up of top-class partners includes Simon & Schuster, DC Thomson, Smith and Brooks, MV Sports, Dreamtex and TDP/Aykroyd to name just a few. 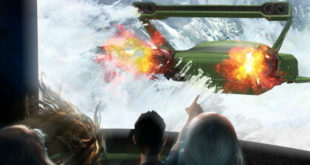 A key area that we’re very keen to tap into is live events and immersive fan experiences. With all the amazing developments in technology, these are fast-becoming a hugely exciting and sophisticated way to engage with your audience and offer your fans something truly unique. What are your plans for the brand for the New Year? On the broadcast side, we’ve just launched the second series of Thunderbirds Are Go in the UK and Australia, and during 2017 we’ll be rolling-out this next instalment worldwide. Then towards the end of 2017, we’ll have another batch of brand new content as season three makes its debut in the UK. For consumer products, we’ll be looking to add new partners to our licensee base in addition to launching products in a host of new markets including Brazil, China and Korea. Another key priority for 2017 is continuing to broaden our content distribution for Thunderbirds Are Go across the board including TV, video-on-demand, online, digital, social media and games to reach all potential new fans. We have just signed a major promotional partnership for Classic Thunderbirds, it’s a little too early to be sharing details but I can promise it’s very exciting. This deal will place the Thunderbirds franchise at the front of everyone’s minds and in turn, create a halo effect for Thunderbirds Are Go.